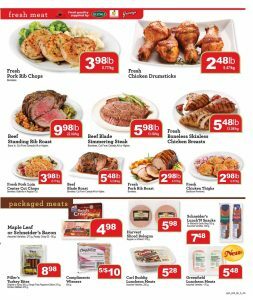 Family Foods Flyer will bring you and your family the best deals, top products and lowest prices. Family Food will serve you with freshest vegetables and fruits, best meat and top quality products. All you need is to check out this week’s flyer. 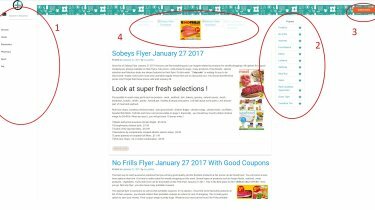 Have you checked awesome list of Family Foods Flyer including special opportunities , reasonable prices and great quality and super fresh products ? If your answer is no , you should hurry up ! Last day is May 4 2017 to catch up their options to reduce to cost of high-quality and good looking products. A lot of parts such as produce , deli , meat , packaged , bakery , frozen , chilled , grocery , beverages , snacks , breakfast , household , pets and more are available on this special flyer. 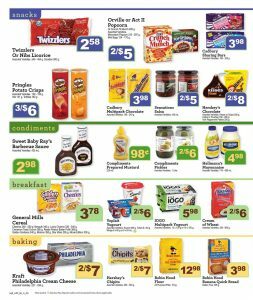 This generally contains lower prices on every pages of Family Foods Flyer May 2 2017. Always be alert on their flyer with their awesome sales every week ! I will try to tell you which selections are on sale , which parts is drawing attention and more. They show us how much you will save maximum basically! All you need is a shopping list. Determine your needs related to regular products and find them on this flyer. Let’s look at what you have on this week ! Page 1 is full of super fresh and natural selections. 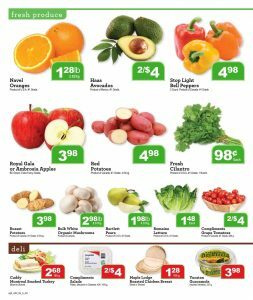 If you are looking for good looking fruit or veggies , here is one of the places in Alberta. When you purchase some of them on this part , you will be satisfied. In my opinion , best selections is Haas avocados (2 for $4.00) You can also find deli products on this page. If you need them , you must benefit these prices ! Navel oranges , $1.28 lb. Bulk white organic mushrooms , $2.98 lb. Page 2 includes fresh meat and packaged meats. You will reach delicious and super fresh selection on this page. You have a good chance to prepare perfect dinner for your whole family with reasonable prices. You should browse this page if you are in search for anything related to meat. My favoruite selection is Fresh boneless skinless chicken breast for $5.48 lb. Pork rib chops , $3.98 lb. Chicken drumsticks , $2.48 lb. Beef standing rib roast , $9.98 lb. Beef blade simmering steak , $5.98 lb. Pork loin center cut chops , $3.98 lb. Beef blade roast , $5.48 lb. Chicken thighs , $2.98 lb. A lot of popular snacks , sauces , breakfast products and baking selections can be found on page 5. They have dropped prices of these selections on this week. Particularly , you should focus on parts of snack. All of them are on sale now ! In addition , when you buy more selected products , you will save more. I think , Pringles potato chips is good selection while watching tv. You can get 3 of them at $6.00 ! Cereals are one of the indispensable products of our breakfasts. General Mills is good brands if you are looking for cereal. On this week , you can buy this at $3.78. You must browse part of breakfast. For more discounts , details and products , you can browse other pages of this flyer. You will come across special alternative with cheaper prices. In addition , many specials for “Cinco De Mayo” such as recipe and good products are featured on this flyer. If you have a pet , you can reach good cat or dog food too. Here you go !